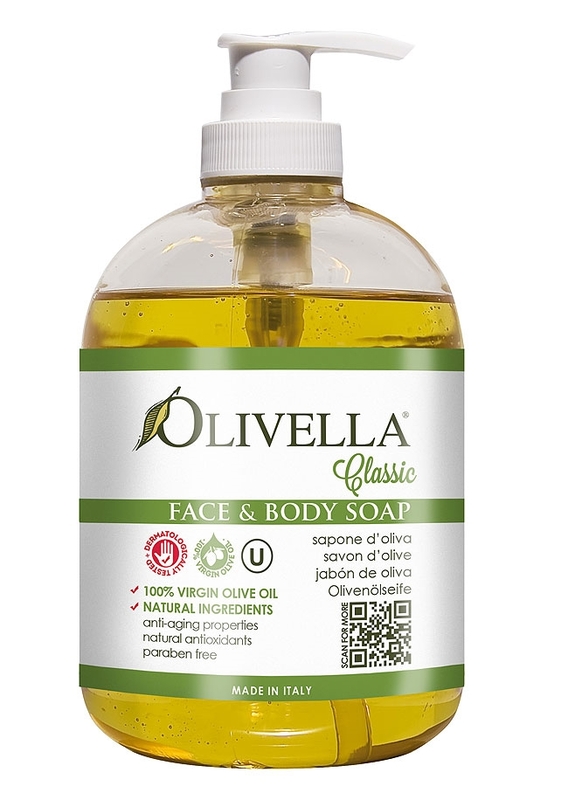 Olivella Original Face and Body Liquid Soap is from 100% virgin olive oil, it's an all natural soap which hydrates the skin as it cleanses. 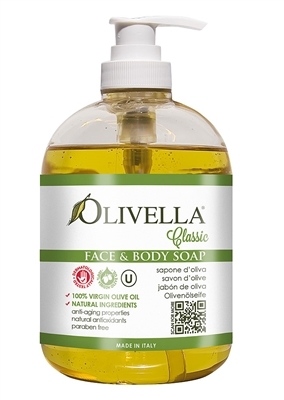 Great for all skin types this Olivella Soap exerts a nourishing, emollient and soothing action on the skin. From your first application, you will notice your skin feels softer and your pores super clean. Our patent formula is gentle enough for sensitive skin conditions and therefore all ages from kids to grandparents can enjoy its benefits of concentrated nutrients. This product is not a food item. No Artificial Coloring. Considering that natural ingredients are used, the color and texture may vary. THIS IS NOT A FOOD ITEM!